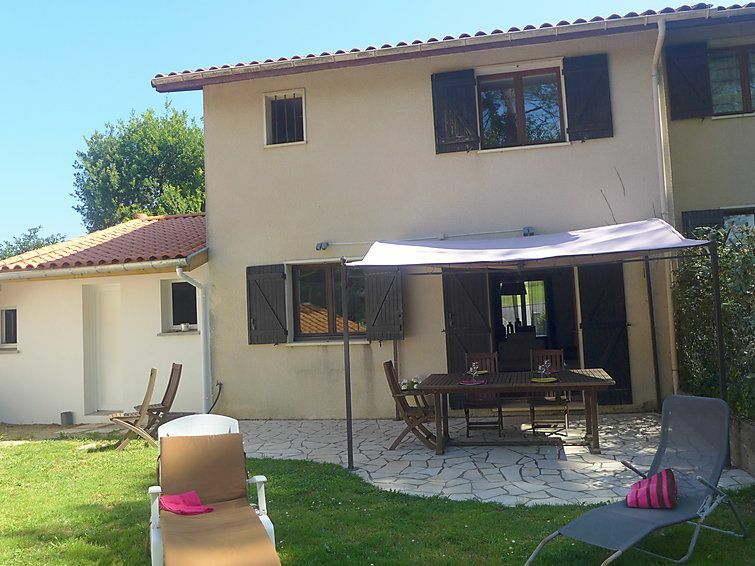 BIARRITZ: Terraced house "this property", surrounded by trees. In a quiet position in the residential district, 3 km from the sea, 1 km from the lake, 3 km from the beach. Private: garden 300 m2 (fenced). Terrace, garden furniture, parking (for 2 cars) on the premises. Grocery, restaurant 400 m, bakery 500 m, bus stop 600 m, sandy beach "La Grande Plage" 3 km, indoor swimming pool 3 km, lake Marion 1 km. Golf course (18 hole) 3 km, surf school 3 km, indoor tennis centre 2 km. Nearby attractions: Le phare de Biarritz 4 km, Aquarium 3.4 km, Les halles de Biarritz 3 km. Hiking paths: La Rhune 28 km. Please note: airfield 850 m from the property.